The late Latin music superstar Celia Cruz has been named as one of this year's recipients of the Grammy Lifetime Achievement Award. The Recording Academy announced on Jan. 13 in a press release that the Cuban icon will be honored, along with several other nominees, at a ceremony and concert held in the spring. "Each year, The Academy has the distinct privilege of honoring those who have greatly contributed to our industry and cultural heritage, and this year we have a gifted and brilliant group of honorees," said Neil Portnow, president and CEO of The Recording Academy. "Their exceptional accomplishments, contributions, and artistry will continue to influence and inspire generations to come." Often referred to as the "Queen of Salsa," Cruz's career spanned over 40 years and included 23 gold albums, four Latin Grammy Awards and three Grammy Awards. Her hit songs include "La Vida Es Un Carnaval," "Quimbara," "La Negra Tiene Tumbao," and "Que Le Den Candela," among many others. The star was also well known for her flamboyant persona and for overcoming various obstacles to make it in the music industry. In 1994 Cruz received the United States National Medal of Arts, making her one of only a few Latino entertainers, including Tito Puente and Rita Moreno, to receive the honor. Despite her passing in 2003, Cruz remains important in today's entertainment industry, and she has influenced a variety of artists. 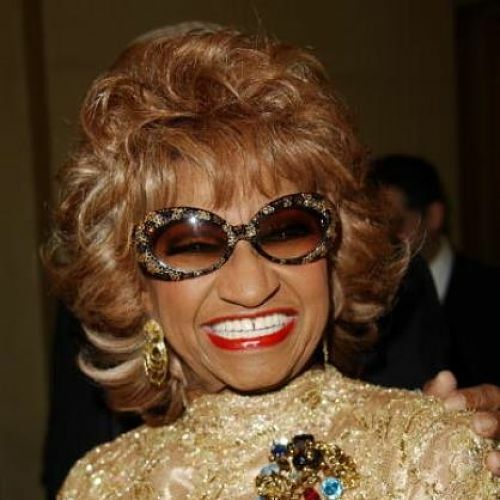 A series called "Celia" about her life and rise to fame is currently airing on Telemundo, and the late star was recently honored at the 2015 Latin American Music Awards. The tribute included performances from actress and singer Aymée Nuviola -- who plays Cruz in the Telemundo series -- Maluma, Yuri and La India. The performance was produced by Sergio George. Also receiving the Grammy Lifetime Achievement Award are Ruth Brown; Earth, Wind & Fire; Herbie Hancock; Jefferson Airplane; Linda Ronstadt; and rap legends Run DMC. The date and location of the ceremony and concert have yet to be announced.